Interestingly, I'd already had something sorta like this scratched out in notes – a diluted version of GURPS Fantasy that dialed into only the essentials. I even went so far as to reduce pre-gen classes attacks to the mere basics – the Barbarian got "Savage Axe Attack" – a pre-calc'd AOO:Determined with EE: Strong, rolled into a single stat block. The Rogue got their "back stab" as "AOO:Determined, TA:Vitals, EE:Strong" kind of thing. I didn't devote a lot of time to digitizing it (guess I should get on that in light of what's going on now). If this works out to be anything like that, I will be pretty stoked, since that means I was actually on to something! Beginner support for this product (and others) is probably a good thing to start banking in the slushpile-that-is-not-a-slushpile in Pyramid. Is there going to be Pyramid aimed at this product? 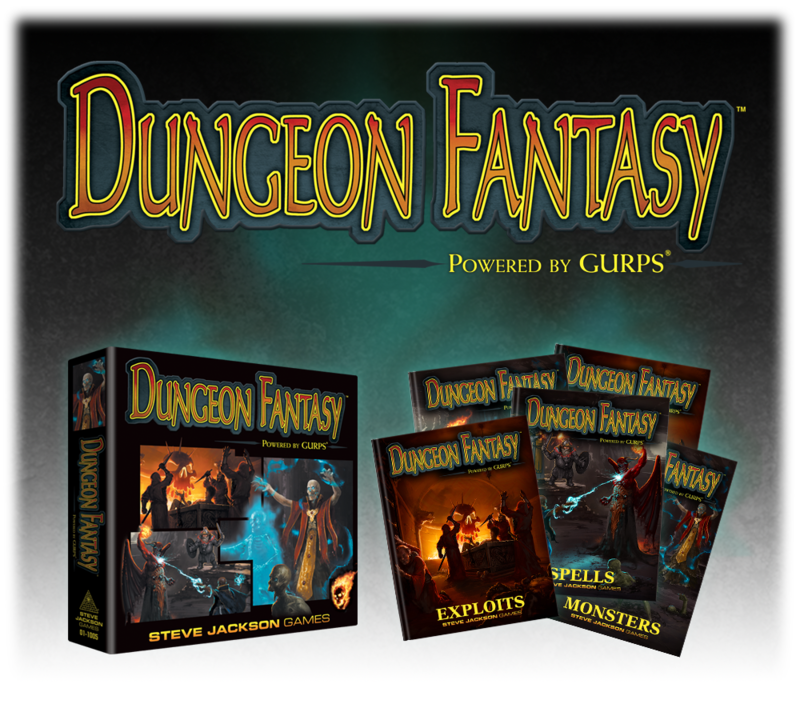 I mean, I guess, being Powered By GURPS it all is, but specifically for this. Yes I will probably have to do this. Other option would be to offer the PDFs at $35 with rewards for stretch goals included. Or someone to mule the boxes back to Australia as luggage.